Perth is a city well known for its carefully preserved and striking architecture in a beautiful city skirted by the mighty Swan River as it snakes past the city on its way to the Ocean. Perth offers a variety of activities from art and culture to marine and nature. The amazing Parklands surrounding the city are a great way to get spiritual. According to the World Cities Research Network, Perth; the capital and largest city in Western Australia was named World City. With a population of close to 2.2 million Perth is the city with the fourth largest number of people in Australia. Perth houses the regional headquarters for several large mining operations to give it a sound economic base which enables it to fully dominate the Western Australian economy. There is a wide choice of commercial properties to sell in Perth. Buying commercial property in Perth would open doors for better and more fruitful investment opportunities which would be promoted by the size of the city coupled with the sound economic base, to create more development opportunities for business. The prices of commercial property in Perth are average; more than in Adelaide and Brisbane but less than the likes of Canberra, Melbourne and Sydney. This might be factual, but it no less makes Perth a city worth investing in. The price might be high when you buy the commercial property but the benefits of buying there far outweigh the cost and the winner will eventually be you. Partial Leased Investmentcrust Pizza Offers Invited Closing Th.. Located on the corner of Nicholson Road and Albany Highway in Cannington, this high exposure Green Titled property is For Sale by "Offer Invited". 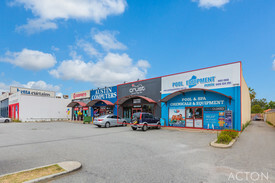 254 sqm of the building is lease to Crust Pizza until 31 May 2024, with the remaining 254 sqm currently being occupied by the Vendor and operating as Poolmart. 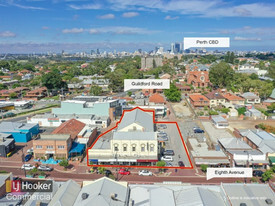 This unique opportunity allows the buyer to receive rental income from Crust Pizza and either occupy the remaining 254 sqm or find a new tenant. 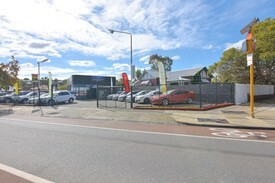 Building Area: 508 sqm Land Area: 1,151 sqm Car Parking: 9 car bays "Offers Invited" closing Thursday the 21st of March 2019 at 4pm WST. Please call Con or Jonathan for a copy of the IM Report or to organise an inspection. Cbd Leased Investment 6.2% Passing Yield 4.25 Year W.a.l.e. $1,455,000 (G.S.T. Going .. 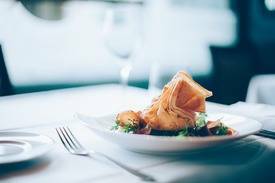 Here is an exceptional opportunity to own a gourmet restaurant and takeaway in the heart of the booming city of Joondalup in Perth. Running successfully for 19 years, our iconic restaurant has been serving a strong base of loyal customers who keep the cash registers ringing. Our prime location and well established reputation in the community has made this business a high income opportunity which is ready to be be leveraged by seasoned investors. Govenders Gourmet is located on prominent Regents Park Road in metropolitan Joondalup in Perth This is the primary urban centre in Perth's outer northern suburbs but Joondalup is just a few kilometres away from the Perth CBD making it a very lively region. We are a short walk from the Shopping Centre, hospital and the Joondalup Centre. The area is always brimming with locals and visitors who love to visit our restaurant for a quick snack or a relaxing meal. The 520 sqm freehold property has a fully equipped restaurant, a spacious 3 bedroom 2 bathroom apartment, and another site which can be used to construct more apartments. Other facilities include a large family area, modern kitchen with stone bench top, quality appliances, large walk in pantry, meal area and much more. This centrally located property comes with a well planned layout including lots of working and storage space, parking and a loading bay for suppliers. The restaurant has a seating capacity for 50 guests inside and 20 guests al fresco. The operating costs have been minimised, and the owner will be providing training and professional advice to the buyer, if required. Also, the property can be re developed and the income can be further grown by a savvy businessman who can exploit its true potential. Features of our café/restaurant: Highly reputable restaurant/ café/takeaway operating for 19 years Ideally located in the bustling metropolis of Joondalup in Perth Massive 520 sqm freehold property with residence and land A wide ranging loyal customer base of locals and visitors Immense potential with fantastic turnover and low operating costs Imagine never having to deal with rent again and building a secure future for your family! This is a rare lifestyle opportunity for hospitality driven entrepreneurs to invest in a freehold property, including a flourishing business, that promises fantastic growth and development opportunities. If you think you can take this local icon to the next level, then please call on the number above TODAY! Leased Investment - Long Staying Tenant Asking $630,000 (Going Co..
Buy One Or Buy Both | Leased Investments Buy one or Buy Both | Con.. This is a genuinely fantastic opportunity for a dedicated new owner to purchase an iconic, fully licenced restaurant in Perth. You have the option to buy the successful restaurant as a profitable going concern and, if you choose, purchase the freehold as well. The choice is yours! This immaculate CBD restaurant is available with optional Freehold. It has only come to market because the current owners have earned the right to retire. They have built a very successful business that is very popular with surrounding office workers and also residents in apartment building adjacent. This enterprise is very well located, being near to the Swan River, Perth’s CBD, and it is near to regular public transport amenity, a highly regarded hotel complex, with professionals occupying commercial office suites. The restaurant seats 60 patrons comfortably. The dining space is decorated in elegant but muted neutral tones that leads to a very relaxed dining experience. Most customers come back regularly. Two options include an immaculate licensed business for only $150k, and you may sensibly add to your superannuation, by investing concurrently in modern strata premises, for an additional $800k. The retail premises are available only if the business is sold and settled concurrently. Indicative rental yield is 6% via lease back to you as owner operator! Restaurant is 114m2, liquor licensed, and provides relaxed seating for 60 patrons as we said. Should a new owner choose to introduce a different cuisine, the neutral tones will make it very easy and cost effective to redecorate. 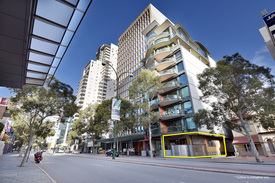 The immediate surrounds are undergoing significant rejuvenation and improvement with brand new retail outlets and new apartments due for completion. These tend to enhance and complement and provide sales growth. Call me soon as we have priced both assets for immediate sale. In marketing we have not added on an amount for negotiation as the owners wish to soon retire overseas, hence they are content to sell at a very fair market price! This is the time to invest in a business with prime property, in high end locations, for a better financial future. Call Ian Sargison on the number above for a confidential chat and further information. The perfect view of Lake Fresca for your customers and other bustling businesses about including a café there is plenty here to help draw customers to your business whatever it may be. Reverse Cycle air conditioning Kitchenet Serviced complex toilets Good view of Lake Fresca Apart of the Bridgetower Apartments Village centre Plenty of free parking strata fees $300/quarter approx. 47sqm approx. Dimensions 4.9m frontage x 9.67m approx. For more information send an enquiry or call Matt Jones on 0408 097 806. The freehold of this amazing café is available for only $530,000 more! This is an easy to manage, well established business in a brilliant location with great potential for growth. The business has a loyal repeat customer base and great margins. When selling hospitality businesses there’s always strong demand for an associated freehold property. This as a great superannuation asset, even better with low interest rates and especially so with no appeasement and dealing with a landlord with annual rent increase!. Make no mistake as this is an ideal opportunity to secure a solid financial future. Driven by a loyal long standing client base whom love great coffee and casual dining, this will suit many seeking a location with a happy and relaxed “sea breeze” coastal vibe. A team of hard working friendly staff will make your management so much easier so you can concentrate on working “on the business” rather than just in it, as often some do!. The majority of food offerings are easy to prepare, attractively priced, and not subject to radical cost imposts as they aren’t seafood related. This is not a franchised business however it has strong market appeal from others of similar nature. The premises is modern, and not difficult to maintain and nestles near the lobby of an office block of resident professionals. Return on investment of the Café is circa 44%. If you invest in the freehold as well the overall return is circa 25% with the advantage of paying principal off any loan for the property. Despite the festive season please don’t delay in lodging your interest asap, i.e. subject to “Due Diligence” so you will be satisfied with financial data and all assets on offer!. Clients often visit this popular meeting hub from many kilometres around, to repeat the culinary pleasure!. Call Ian Sargison on the number above or send through your contact details in the enquiry form below for more details. Yanchep is experiencing extraordinary growth, making it the fastest growing city in WA. It is bucking the state trend with demand for both residential and commercial real estate showing no signs of slowing. The city population grew by 29% last year alone, with surround suburbs (Eglinton, Alkimos and Two Rocks) also witnessing the same high growth levels. The demographic predictions for Yanchep alone are that the population will grow by almost 250% to 43,000 in the next 3 years and even more in future years. The land and buildings known as 158 Yanchep Beach Road, Yanchep 6035, will be considered an absolute bargain in that time and is currently priced to sell. Location! Location! Location! is the most important thing with real estate and this is the perfect location. This site was only recently developed and is next door to a new veterinary hospital and approved for development medical and dental centre. 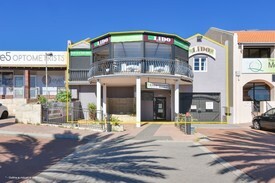 It is within 300 metres of Yanchep Central Shopping Centre and the town hub. There are also 4500 residential lots being currently developed all within a kilometre of 158 Yanchep Beach Road. The building is modern concrete tilt panel construction with a complete stylist, high calibre fitout with a total of 630m2 lettable area. This includes 130m2 Office, Reception and Amenities area and 370m2 Gymnasium/ Showroom and is currently let at $91,000pa. 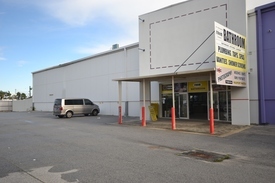 There is also a 130m2 mezzanine area which is available to lease at an anticipated $39,000pa. Fully let, the property will show a fantastic gross yield in excess of 7%. The Office, Reception, Amenities, Gymnasium/Showroom are currently under a five year lease to Powerplay Gymnasium. The mezzanine is to be developed as Office space and leased separately. There is a strong demand for new office space in the greater Yanchep area. The entire building is architecturally designed, air conditioned with hotel style amenities including disabled facilities. There are 22 marked car spaces + disabled bay, eight state of the art CCTV cameras and the property is beautifully landscaped. The growth of Yanchep is truly extraordinary. A huge part of the appeal of Yanchep, is that it is a beautiful coastal city right on the Indian Ocean and enjoys a quiet regional feel but is less than 25 minutes to Perth’s Northern suburbs. This is a genuine ground floor opportunity for a canny investor to add to their portfolio. There is room to expand the premises in the future while enjoying a stellar ROI, especially when the mezzanine floor is fully let. This is a gilt edged property for any investor’s portfolio. Prime Cbd Investment - 6 Year Wale 6.2% Net Return (approx) $1,390,000 (GST as a goin..